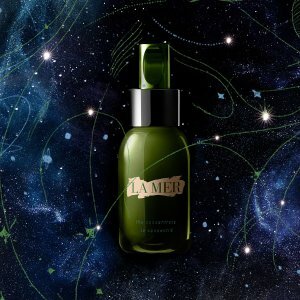 La Mer offers gwp (value $156) with $300+ purchase via coupon code "GIFT19". 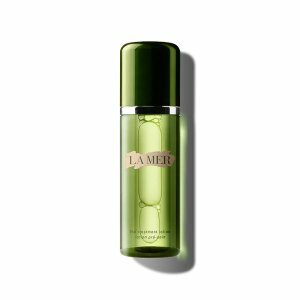 Plus, receive a travel size mini of The Concentrate 15ml/0.5oz with any $500+ purchase via coupon code "GIFTLM". 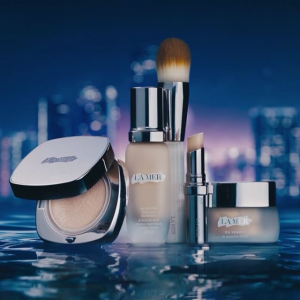 *Offer is not applicable to and applicable purchase amount does not include the purchase of The Treatment Lotion Hydrating Mask (1 use) The Lip Balm (0.32oz), The Tonic (3.4oz), The Cleansing Foam (1oz) and The Lifting & Firming Mask (0.5oz); items noted as not eligible; gift cards; eGift cards; sales tax; shipping and handling fees; items that are not in stock at the time of purchase; pending purchases or purchases made prior to or after the conclusion of the offer. 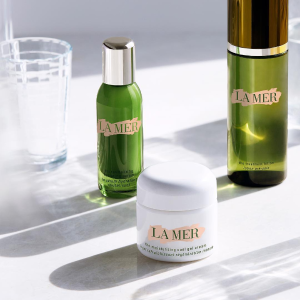 La Mer offers Enjoy a complimentary deluxe duo The Crème de La Mer & The Concentrate with $150+ purchase via coupon code "DREAMDUO". Plus，Enjoy a luxury travel size mini of The Concentrate 15ml with any $250+ purchase， via coupon code "CONCENTRATE". 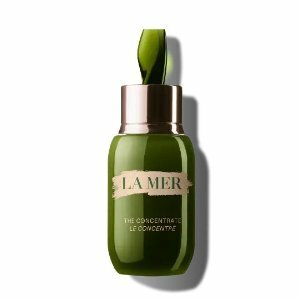 La Mer offers enjoy the concentrate 15ml With Any $250+ purchase via coupon code " CONCENTRATE". 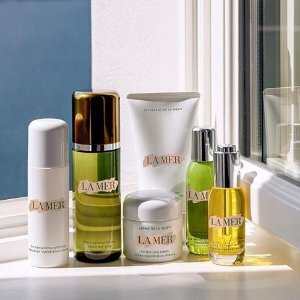 La Mer offers Enjoy a 4-piece Small Miracles Collection with any $300+ purchase，via coupon code "SPRING19". 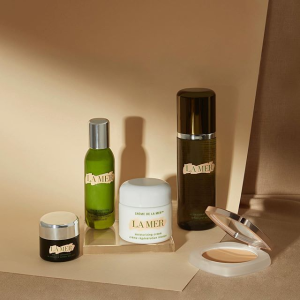 The Small Miracles Collection includes: Moisturizing Soft Cream (7ml/0.24oz), The Eye Concentrate (3ml/0.1oz), The Lifting Eye Serum (3ml/0.1oz), The Treatment Lotion (30ml/1oz) in a La Mer Cosmetic Bag. 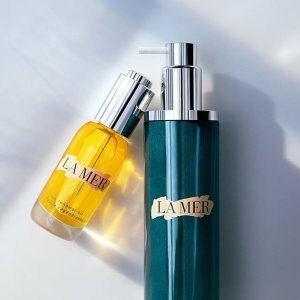 La Mer offers exclusive la mer charm bracelet & The Concentrate deluxe mini with your $200 purchase via coupon code "LUCKY". Deal ends 3/17 23:59 PST. 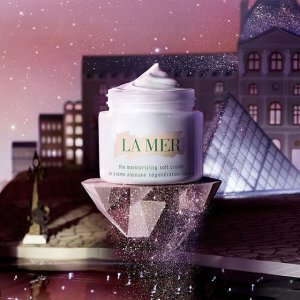 La Mer offers Two complimentary deluxe mini's of Crème de La Mer & The Eye Concentratewith any purchase via coupon code "MOISTURE19". 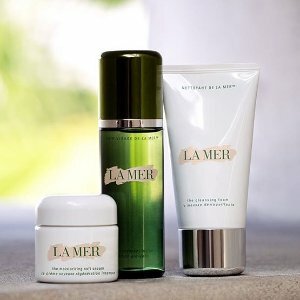 Please note the offer is not applicable to gift cards, egiftcards & single purchase of The Treatment Lotion Hydrating Mask (1 use) The Lip Balm (0.32oz), The Tonic (3.4oz), The Cleansing Foam (1oz) and The Lifting & Firming Mask (0.5oz). 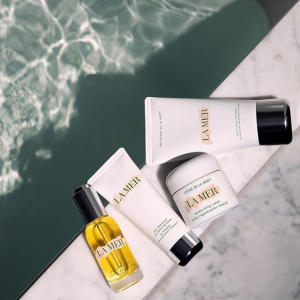 La Mer offers Two complimentary deluxe mini's of the The Reparative Body Lotion & The After Sun Enhancer with your purchase via coupon code "RADIANT". 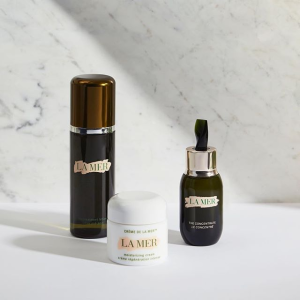 La Mer offers Two complimentary deluxe mini's of the The Concentrate & The Intensive Revitalizing Mask with your purchase. via coupon code "MOISTURE". 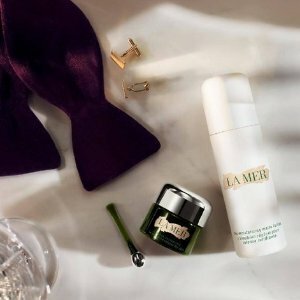 La Mer offers Two complimentary deluxe mini's of the The Concentrate & The Intensive Revitalizing Mask with your purchase. via coupon code "PURE". 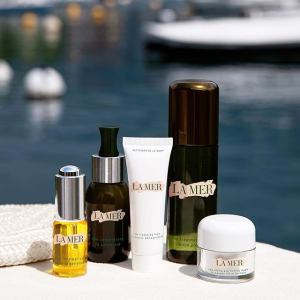 La Mer offers receive deluxe minis of the cleansing foam & the tonic with any purchase via coupon code "PURE". Deal ends 3/12 23:59 PST. 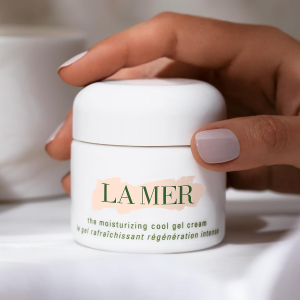 La Mer offers $75 off your first The Eye Treatments purchase of $350 + receive a 4-piece set, value $167.2, via coupon code "BDAYMOON". Details: Offer begins at 12:00 a.m. on 3/03/2019 and ends at 11:59 P.M EST. on 3/04/2019. 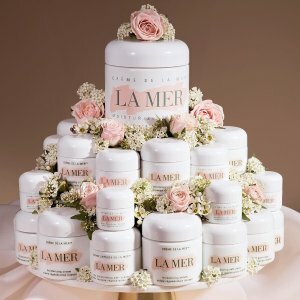 Enter offer code BDAYMOON at checkout to receive $75 off your first order of $350+ as well as a 4-piece set of bestsellers at LAMER.COM. With an applicable purchase*, after discount, sales tax and shipping and handling fees. US residents only, employees are excluded. One per person and one offer code per order. Quantities are limited. While supplies last. Please allow up to 3 business days for processing and 1 day for overnight shipment. *Offer is not applicable to and applicable purchase amount does not include the purchase of items noted as not eligible; gift cards; eGift cards; sales tax; shipping and handling fees; items that are not in stock at the time of purchase; pending purchases or purchases made prior to or after the conclusion of the offer. Free items are not eligible for returns or exchanges. All purchases are subject to bank authorization prior to processing. Only authorized purchases will be processed and shipped. We reserve the right to cancel any order due to unauthorized, altered, or ineligible use of offer and to modify or cancel this promotion due to system error or unforeseen problems. We reserve the right to substitute any free item offered with an item of equal or greater value. Offer is subject to change without notice. Other restrictions may apply. 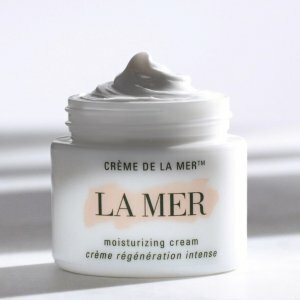 La Mer offers the $75 off your first CRÈME DE LA MER purchase of $350 + receive a 4-piece set via coupon code "BDAYMOON". 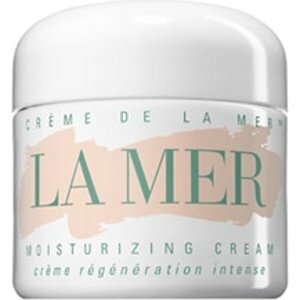 La Mer offers $75 off your first purchase of $350 + receive a 4-piece set, value $167.2, via coupon code "BDAYMOON". 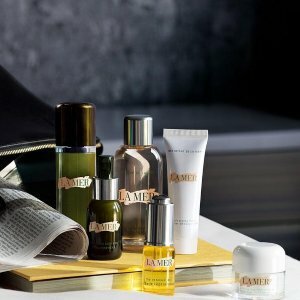 Plus, get two free samples while check out. 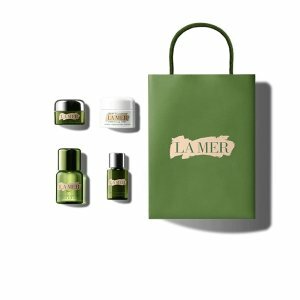 La Mer offers $75 off your first purchase of $350 + receive a 4-piece set with CRÈME DE LA MER purchase via coupon code "BDAYMOON". 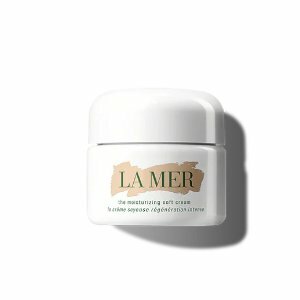 La Mer offers $75 off your first purchase of $350 + receive a 4-piece set with THE CONCENTRATE orders via coupon code "BFMOON". 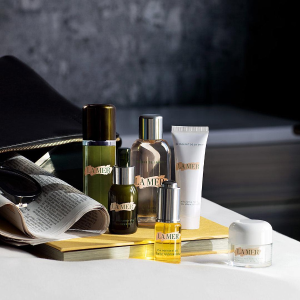 Plus, Select four deluxe samples and a cosmetic pouch with any $150+, up to $207 value!